I am tentatively opening for pre-orders for anyone who needs a longer layaway. As always the dolls are funding themselves and I need to have at least 20 dolls paid for before I can place the pre-order. I know a lot of you have been waiting FOREVER it seems for these dolls to be released. I am so, so sorry there was such a long delay. There is a price change to the dolls due to the casts being more expensive than anticipated. Those who have already paid are not subject to price change and their face-up is included if they want one. This price change only effects new pre-orders! Either skin tone is now $350. 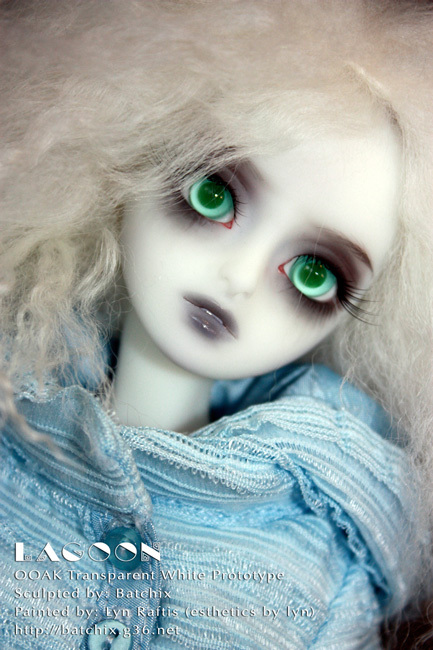 Each doll will come with glass eyes included! Please specify if you’d like Epsilon or Gamma. You can purchase the second head for $60. There are always some minor changes between the finished product and my originals, but if you’re sure that this is what you want, you’re welcome to start the pre-order process now before I get the samples back. Samples should be here in about two weeks! 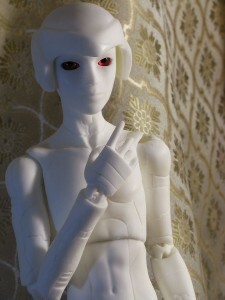 There will be two colors of resin offered with 30 pieces of each. One will be a pure ghost white(similar to what’s shown above or the white semi-transparent lagoon here) and the other will depend on how the samples turn out. He’ll be either gray or blue-gray. The approximate wait time till the dolls get here physically will be about 3-5 months depending on how fast I get to 20 orders. It usually takes about a month and a half to get the dolls in after the final order is sent. I will send the order hopefully by Nov 30th, but no later than Dec 15th. Depending on the casting studio’s schedule(it’ll be christmas! I can’t believe the year has gone by so fast!) we should see the dolls in a month and a half. That’s all judging by how the process has gone with Lagoon. If you want to place an early bird order you can email me at batchix (at) yahoo (dot) com! Also check out the new page i’ve added for finished and painted dolls! 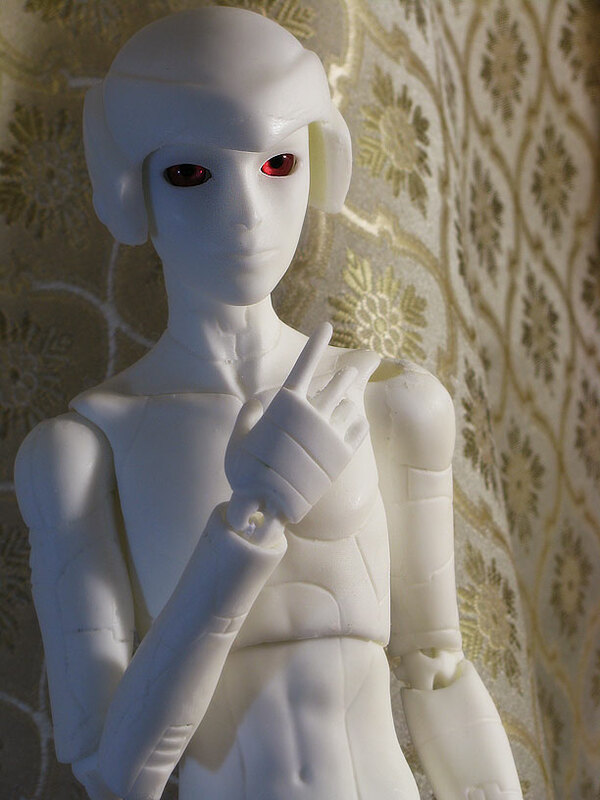 The last of the hand cast dolls is up there. :D All the proceeds from him will go to fund the casting of rest of the boys!